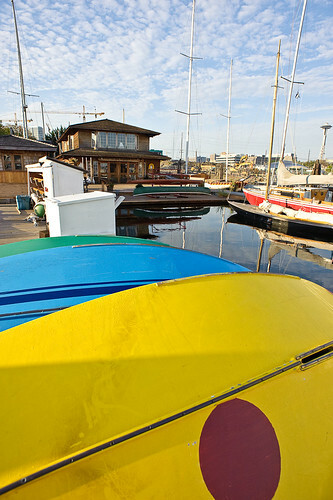 I’ve got a soft spot for the Center for Wooden Boats at South Lake Union Park. It’s a beautiful location. You look across the water and see the rusty metal of Gasworks Park. Turn around, and the Space Needle is poking out over the buildings of the Mercer Mess. 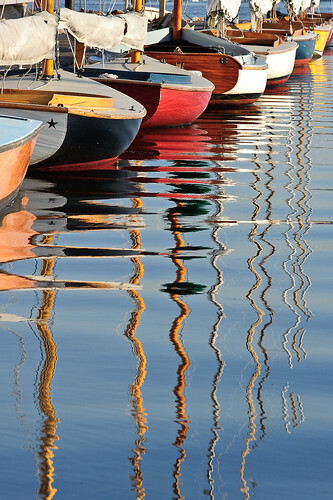 And all around you, the graceful curves and bright colors of the boats. A short visit is all it takes to feel connected with Seattle’s maritime past. NICE pics! Esp. the reflected masts, well done.